Resulullah.org | That the News He gave about the Future Turned out to be True Proves His Prophethood. There is a lot of news that the Prophet (pbuh) gave about the future and that occurred as he said. 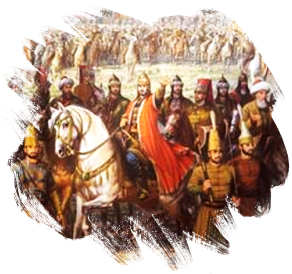 For instance, the martyrdom of Hazrat Uthman while reading the Quran, the martyrdom of Hazrat Husayn in Karbala, the conquest of Damascus, Persia and Istanbul, the establishment of the Abbasid State, the attack of cruel people like Genghis and Hulagu on Abbasids occurred as the Prophet had predicted. We find it sufficient to give those examples and we refer you to the part called “the Miracles of the Prophet” for more detailed information about his news related to the future. Now, we ask this question: Is it possible for an illiterate person to give so much true information about events that will take place in the future using definite expressions not sentences containing probabilities without making any mistakes? Definitely not. It means he learned them from his Lord, who is the owner of all information about the unknown, and spoke accordingly.